Posted by June in wall decals on Jun 03, 2014 . Wall stickers are more and more popular after they exhibited in 2007 in Paris. They are becoming one of the important décor in house decorations. Many designers regard it as the first choice when they are going to decorate a new house. There are many types of wall decals in this field. It is different with the traditional painted walls. It is designed and ready-made. You just need peel and stick it to your desired position. Such as, wall, window or tile. Also, you don’t need to spend too much time on this. As long as match with the whole decoration style and your personality, it will be alright. Choosing a great wall decal for your house, it not only shows your temperament and interest, but endows a new life for your house as well. And it leads the new fashion of house décor. Wall decals are made by the high quality of vinyl. It is sticky but it is not very easy to solidify. It means the wall stickers can be easily peeled off after a very long time. Many people have the similar experience. After you applied the wall art on the wall for some time, you look at it every day. Then, you will feel beauty fatigue. Yes, I really can understand. So, we need something fresh and new. And these kinds of wall stickers are removable. It means you can change it to another one whenever you want to. And, wall stickers can be used in many places. For example, we can apply lovely animals, colorful flowers in kindergarten or nursery. We can affix simple and solemn designs or quote words in office, and we can apply some green trees or leaves in living-room, bedroom with shinning stars or moon in the dark. So, we have whatever you need. You can change the style with the trends. 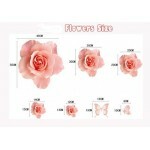 Seek the fashion and environment-protecting house decoration, please choose wall sticker. Find your décor here. Posted by June in wall decals on May 28, 2014 . With the development of economic and technology, people’s living standard improved a lot. More and more people pay much more attention to the basic necessities of life. Such as: clothing, food, housing, traveling, and so on. Yes, many people tend to travel abroad. They want to go different places to experience exotic customs. Are you the one of them? Would you like to go out to see more different things? My answer is “Yes.” Maybe yours answer must be the same. I think in this new age, nobody wants to stay at home always. But, actually we have a little time to spend on vacation because we have a lot work to do, a lot of things to deal with or we do not have enough money to go out. What a pity! However, we can think about it, we can imagine the trip. Imaginations are beautiful. Here, you can apply a world trip map wall sticker in your space. It is black. This wall art includes all the countries over the world. It has been given a clear indication of the Oceans and Continents. From this world map, you will obtain a lot geographical knowledge, and know many countries you never heard. Of course, you will have many thoughts which you never think about deeply. Also, our wall decal made from the high quality of vinyl. There is not any noxious material in it. It is removable and self-adhesive. It is very easy to apply and easy to peel. What you need to do is just peel and stick. It can be applied almost anywhere smooth, flat, dry and clean. So, you can apply it in your living-room, study or bedroom, and so on. Of course, there will be no any residue left behind. You don’t need worry about it any more. You can get both knowledge and decorate you house after applying this world trip map wall decal. It benefits a lot. What do you think about it? Please have a try. Posted by June in wall decals on May 22, 2014 . 1. 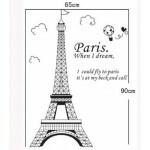 There are many kinds of wall art stickers for your choice. There are trees and flowers, birds and butterflies, animals and vehicles, music and sports, chalkboard and white board stickers, and so on. Different shapes will be identified slowly by baby. It is good for baby’s intelligence. 2. Nursery wall stickers are always have brilliant colors. There are different colors in every vinyl wall decal. Do you know why we have these all colors? The reason is colors can stimulate baby’s optical nerve in order to accelerate baby’s mental development. And baby always shows a strong curiosity to different colors. 3. It is cheap for decorating. I think in house decorations fields, there is no such a inexpensive decoration product but wall decal. It will not cost too much compared with hiring a decoration company or painting the wall by yourself. So, it’s an economic way to saving. 4. It is harmless. Our wall art decals are made from top quality of vinyl. You don’t need to worry about the material. It was examined strictly during producing. You can enjoy it with the little baby and your family. 5. And it is removable. Vinyl wall art stickers are very simple to apply and simple to use. What you need to do is just peel and stick. It will go any flat, smooth, clean, dry place. Also, you can decorate your walls, windows, doors, and so on. If you want to correct the wall decal to another desired place. You just need to peel them up and stick it again. It’s very easy. However, it will not damage your wall and there will be no residue left behind. What are you waiting for? 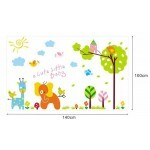 Hurry up and decorate your baby’s room in vinyl wall art. These kinds of nursery wall decal will turn your baby’s room unique and cozy. It will bring your baby easy and happy atmosphere. Posted by June in wall decals on May 14, 2014 . Recently, I applied a dandelion wall decal in my small room. It is brown. There are three large dandelion are planted in the earth, and there are several dandelion are flying. It just like the dreams are flying from past and from future. I have always been loving dandelion since my childhood. I remembered that day. It’s just as usual, a hot day in summer. Hanging out with my little buddies, we still go to that river to fishing and playing in the water. Every time, we passed a place where buried our ancestor. Yes, it’s graveyard. There are many willows and green plants those I don’t know. Here is quiet and cool. Although there is no one except these little guys, I still can feel the existence of them and their dignity as forefather. There are many little dandelions are growing in the earth on the tomb or beside it. Some times, they just keep still. Sometimes, they float with the breeze. We always squinted at them under the summer sun while they are flying away, until they disappeared. Then, I would think about they would go far, far away. Go far, far away, it is a dream of dandelion and it just like a dream from myself, also. To walk the unknown, to see the unknown, to find the unknown, it’s must be very exciting. Also, to apply a wall decal is very easy and simple. You just need peel and stick it. It will go on any flat, dry, smooth,surface, so you can even decorate floor, doors, windows.And it is made from the top quality of VINYL. It will not damage the wall, there is no sticky residue is left behind and certainly no repainting. All design are pre-cut in different shape, you just peel them off individually and stick them to any smooth, flat, dry surfaces. So, a beautiful wall art decal for your home or office, creating a relax atmosphere for you. Posted by June in wall decals, Ideas to Use Wall Decals on May 07, 2014 . I love colorful flowers and I would love to decorate my room with different types of flowers. 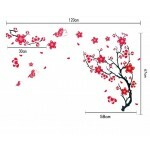 Recently, I found a Sakura wall sticker on the internet. It is just amazing. As we all known, Sakura is from Japan. Their flower season is very short. It blooms and dies quickly. But it also shows their beauty of short times. It may tell us characteristics of the people on the island. It was applied on the wall in my bedroom. Every night I fall asleep by looking at this Sakura wall sticker and every morning I wake up by seeing it. It brings much happiness for me. It also brings something differently for me. It makes me to think about the island, the people, the culture which different with us. It makes me think too much, I think. With this Sakura wall sticker applied in my small room, I began to search the information about them, began to download the music about them, and began to learning how to distinguish what is possible from what is impossible. Yes, it really made me think deeply. For me, it is cheap is another reason to apply. However you don’t need to spend too much for decorating. But it still reflects your tastes and personality and shows your interests about living. When visitors enter your room, they would be impressed by your specially point of view on the eastern world. Then, All designs are pre-cut in different shape, you just peel them off individually to create your own design (theme) and place them that way you like. They will go on any smooth, dust free, dry surface, Wall stickers are removable, they won't damage the wall, no sticky residue is left behind and certainly no repainting. Just peel and stick, no tools or no paint. The color is pink and white. It creates a sweet and warm environment for you. Posted by duoduo in wall decals on Mar 06, 2014 . The quality of wall decals and stickers are usually distinguished and evaluated by their patterns, elements out of which they are finished other than the workmanship. 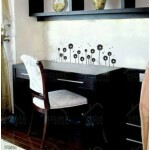 Commonly, the wall stickers company use superior quality matte vinyl or laminated sheet to manufacture them. Further, these decorative items are designed such that the reverse part of the drawing contains adhesive materials enabling you to peel the sticky side off before fixing them on any surface. Most wall stickers company are equipped with extensive varieties of custom-designs, wall borders apart from the lettering and words whilst they are also experts in offering entirely personalized decals. 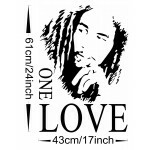 While numbers of vinyl items are not reusable, the authenticated wall stickers company offers you reusable products. All decals and stickers integrate high quality laminate cover in order to protect the printing subject from being scratched, torn or injured. Naturally, depending upon the lamination quality and adhesive standard, these wall decals enables you to reuse them for a long time. The wall stickers company especially those who manufacture the product, offer pre-printed wall decals of varied dimensions. Both decals and stickers can be affixed to smooth-surface glass, ceramic, tile as well as concrete. In comparison to usual wallpapers that we use often, the wall decals are pretty opposing to cracking or peeling. Buy these decorative items from certified wall stickers company in order to obtain fully smoke and water resistant wall decals that last for longer period without being discolored or cracked. Regardless of being a homeowner or designer, one should think of a few significant points prior to shop wall decals and stickers successfully. If you wish to go for online stores for wall decals shop, find their expertise in this industry other than product range and decals specifications so as to your entire deal becomes an effective. Keep in mind that a reputed wall decals shop can offer you quite comprehensive collections of trendy wall stickers, removable wall decals and high quality wall graphics and more. As you research online you can find the terms of the company in connection with shipping procedure and professional support. Those who have simply no idea or never seen the wall stickers, should understand that they are basically a unique alternative to wall decorative or wallpaper with a great exception of having an easy application and removability feature. Made out of vinyl, wall decals shop offers you cost effective room décor and painting solution with a touch of style, taste and aristocracy. Since they are wipe-able you do not have to worry about re-ornamenting your kid’s bedroom prior to its birthday. The wall decals shop enables you to use these wonderful stickers on the tiles of the bathroom or kitchen to brighten up their look. Well, all these decals and stickers are made waterproof. Hence, even if, you use them in wet rooms or shower cubicles, it does not matter. Another right place for affixing wall decals and stickers are your window glasses. The commercial setting can employ them on display windows as a promotional concept. As removal is no difficulty, before introducing new products, the stickers can be changed without any difficulty. 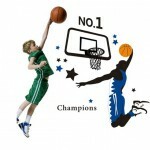 The wall decals shop also offers you customization of stickers with your brand name, slogan etc. Posted by walldecalscanada.ca in wall decals on Dec 05, 2013 . In this fast paced life we all look for means that make our life easier and yet better and improved. This is applicable to everything. Right from the means of communication we use to the means of transport to even the means to furnish and decorate our houses. With the help new inventions lifestyles have changed, and for better. There are easier resources available without much trouble. Among many such things is one to improvise your home décor in a much fashionable and quicker way. Wall decals are the new thing in fashion to get your house a brand new look in no time with much ease and no added mess. Be it the decoration of your living areas or your children’s room or even your work space. Now you can do it all on your own and in a much quicker way. Wall stickers can be customized and made in the exact way you want it to be. The drawing or the art work can vary along with the size and shape. Given the size of the wall you can get the stickers made. There is also an option to make a sticker as big as your wall to cover it up completely. This gives you the benefit to refrain from going through the trouble of painting, mostly when you shift a lot from one place to another often. Such vinyl wall art are being recommended by the best interior designers too, since it brings a uniqueness to a particular place that you call yours, giving it a blend of style and your own personality in it. These stickers are cut by vinyl cutting machines to get the perfect size and not disturb the picture or ruin it. Wall art stickers were previously used for signs and information and were mostly not re-useable, but today it’s not the case. They are used in many interior decorations of a particular place and are made re-useable by having a laminated cover over the top that prevents it from getting stretched. So now you can remove and use it without any damage over and over again. Vinyl decals are easily the most attractive kind of wall art available making it easier for all those creative people to have their house looks like they want it to. Not only for creative people but for also those that cannot draw but appreciate art to have it stuck on their walls. With the help of such removable wall stickers and wall quotes you save a lot of your money in painting as well as a lot of time that goes behind it. This is much easier and also very in fashion. Different color, shape, design or quotes can be given to be printed. Such decals are recommendable to all those that want to make their place look more attractive and funky at the same time. Since these kind of art speaks a lot it is advisable to go through different kinds of prints and design before ordering your wall art.